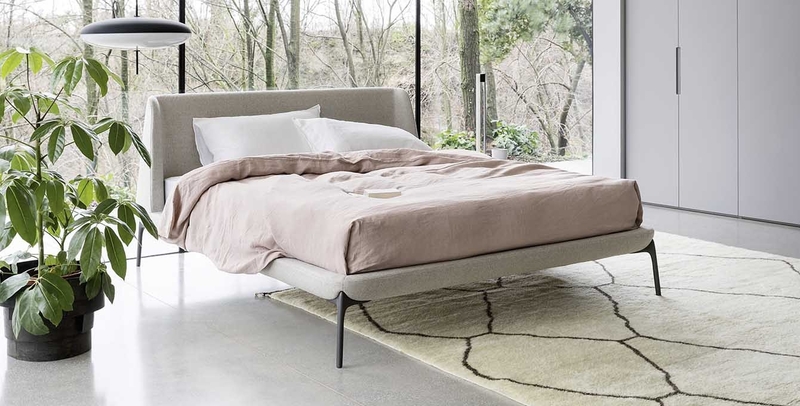 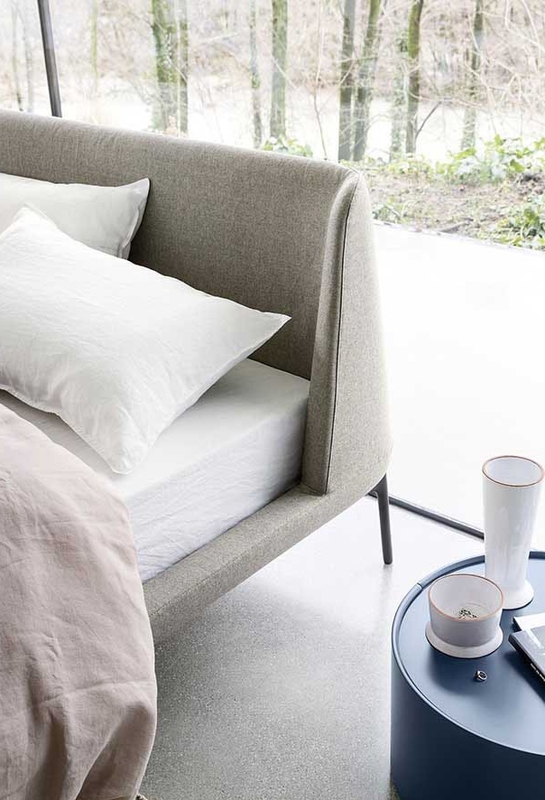 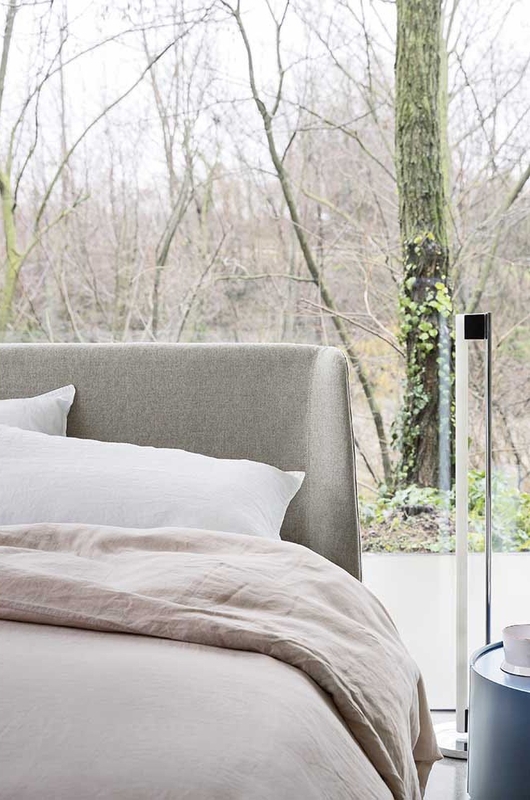 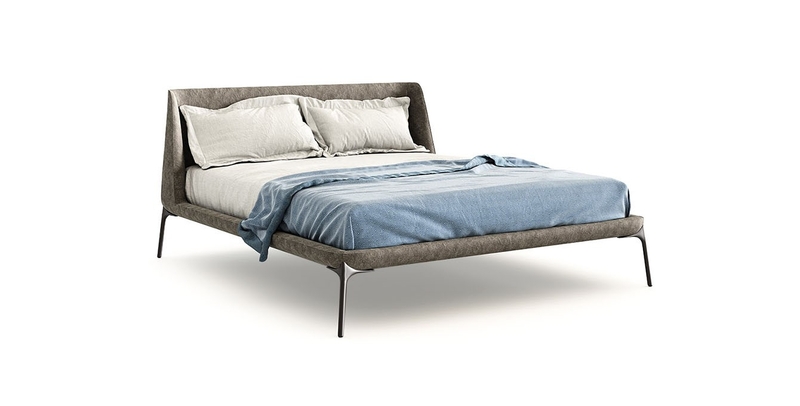 It is a moder and young bed, it is elegant , stuffed from the collection signed by Novamobili. 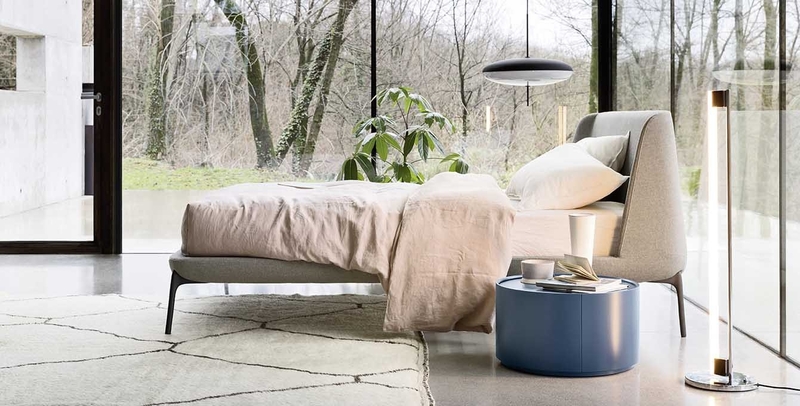 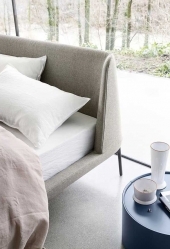 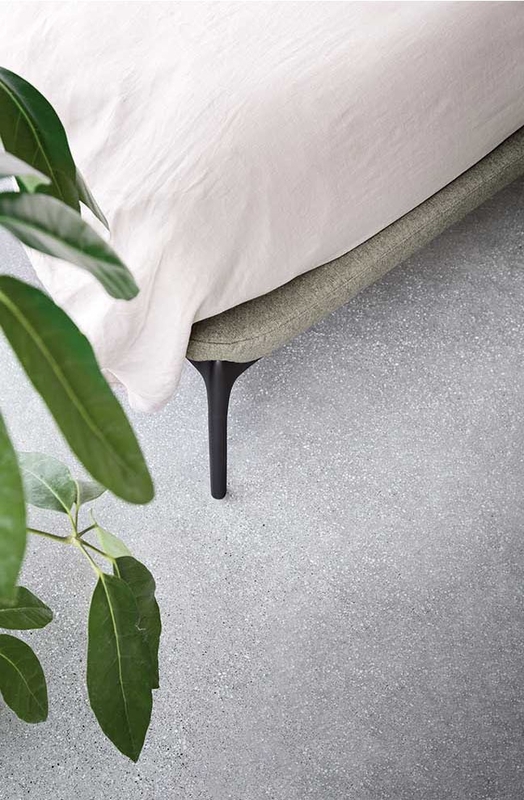 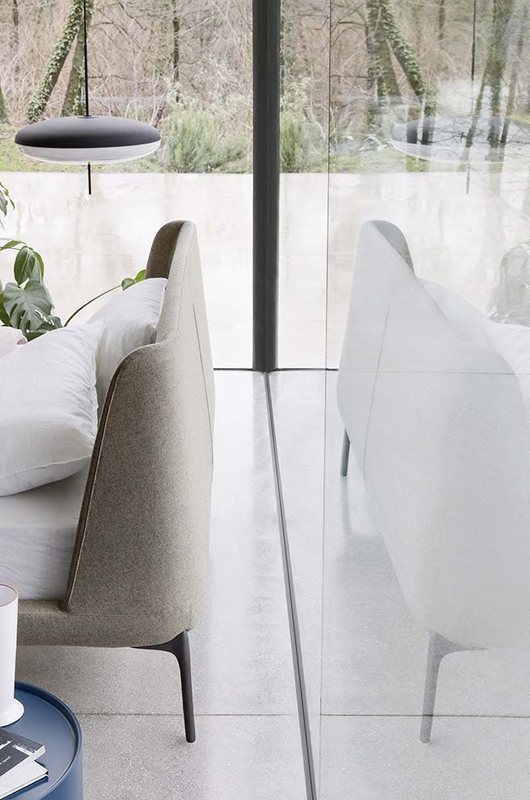 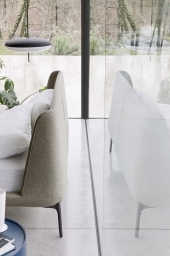 For the structure base and the headboard comes in various choice from, leather, eco leather to different fabrics.The visible legs are giving lightness to the whole design. Velvet the bed.